Phil Jackson dishes tales on Michael Jordan's trips to Atlantic City, books he assigned Shaquille O'Neal and more. 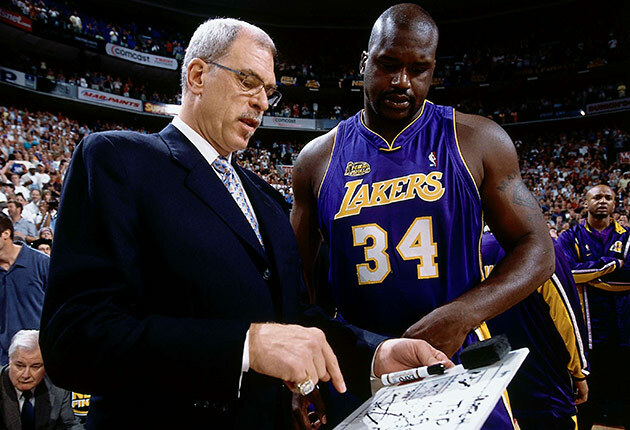 NEW YORK — Phil Jackson and Shaquille O’Neal have 17 NBA championships combined and roughly 17 lifetime's worth of stories to tell. The legendary Hall of Fame tandem—which won three titles together with the Lakers—were reunited Monday night in New York for an intimate Q&A session hosted by American Express at The Altman Building. The 90-minute conversation featured plenty of laughs, countless anecdotes and a few priceless stories. Shaq and Phil talked about their time with the Lakers, their relationships with Kobe Bryant, what the Cavaliers need to do to rally in the Finals and more. They also talked about Michael Jordan's trips to Atlantic City, Shaq's book reports and how Jackson became the Zen Master. Here are five of the best war stories from a night with Shaq and Phil, along with a little lightning-round action at the end. Shaq relayed a story from the 2006 Finals when the Heat were down 0–2. Pat Riley gathered the team in the locker room and held an ice bucket in his hand. “Do you guys believe I can hold my head in this bucket of ice for three minutes?” Riley asked his players before dunking his head in the water. ​2. Jackson believes LeBron’s scorn could be the trick to the Cavaliers coming back. The former Bulls coach told a story about Michael Jordan during a playoff series with the Knicks. MJ went down to Atlantic City between Games 1 and 2 and a New York Times columnist wrote a scathing column criticizing Jordan and outing him for his gambling trip. Jackson didn’t mind MJ’s trip to Atlantic City (he swears he was back by midnight). In fact, he was thrilled Jordan did it because of what the column caused him to do. 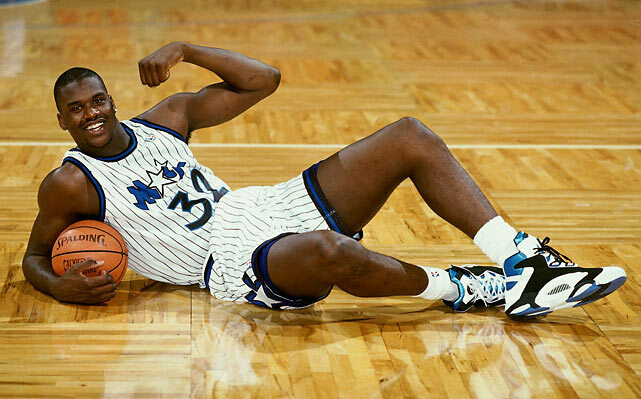 As Shaquille O'Neal gets ready to celebrate his 38th birthday on Saturday, SI unveils some rare photos of the NBA legend. San Antonio Cole High School star Shaquille O'Neal walks off the court after the conclusion of a game. 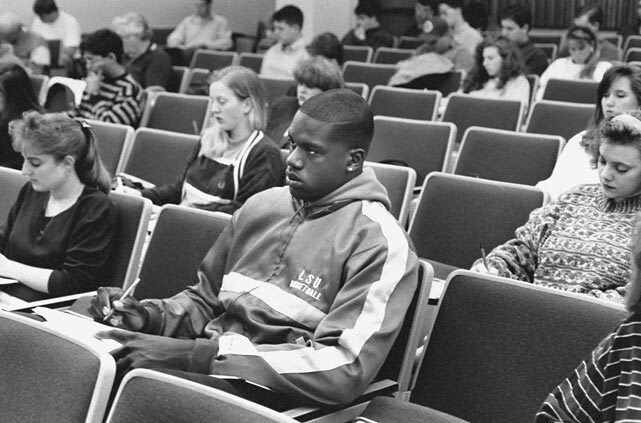 Shaquille O'Neal takes notes at a lecture while at LSU. 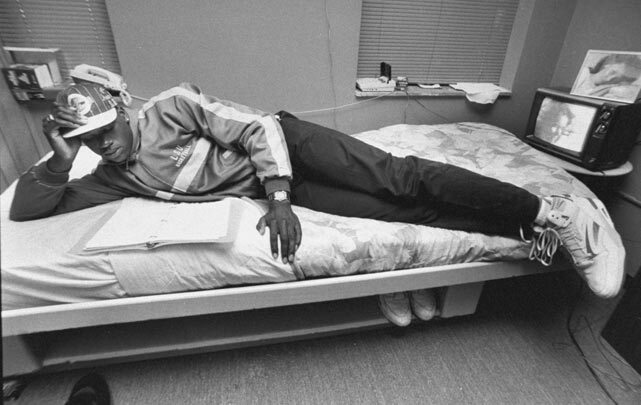 Shaquille O'Neal tries to fit his 7-foot-2 body on an undersized dorm bed. 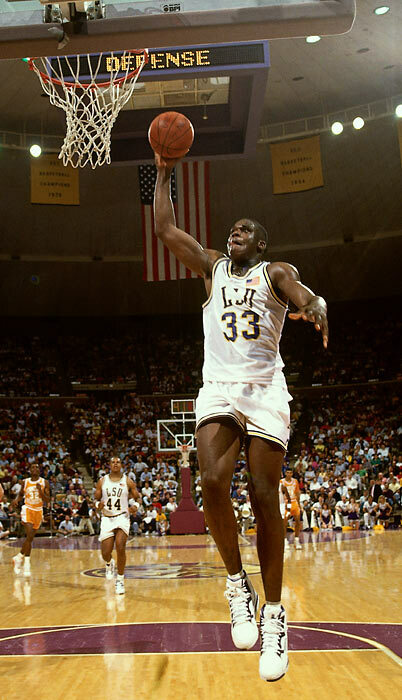 LSU center Shaquille O'Neal soars in for a slam dunk during a game against Tennessee. 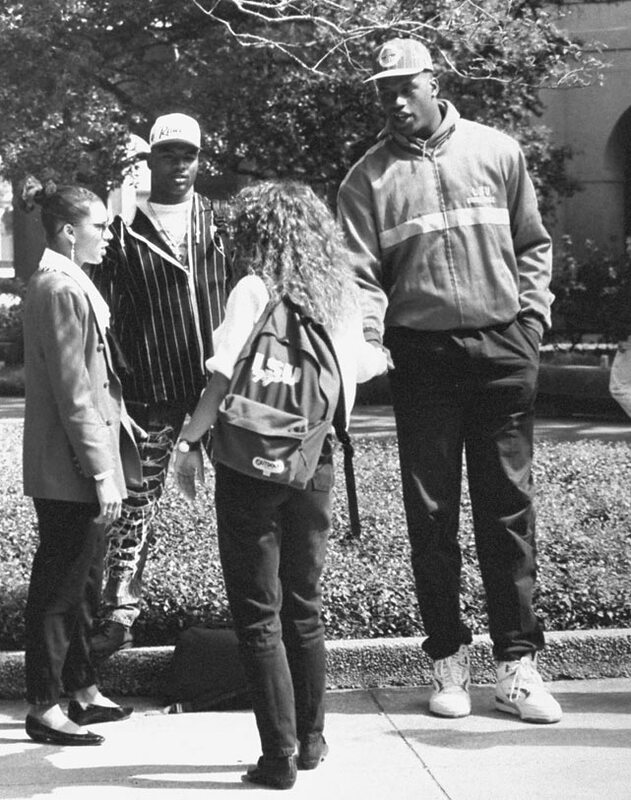 Shaquille O'Neal bonds with some of his LSU classmates in the courtyard. 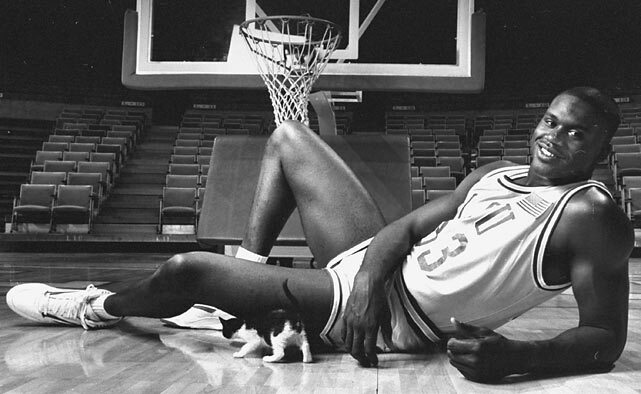 Shaquille O'Neal scratches some records in his LSU dorm room. 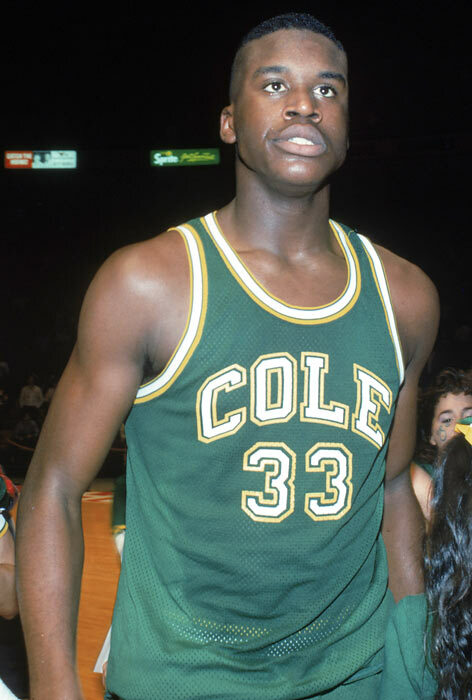 Shaquille O'Neal played three seasons at LSU and recorded career collegiate averages of 21.6 points, 13.5 rebounds and 1.7 assists per game. 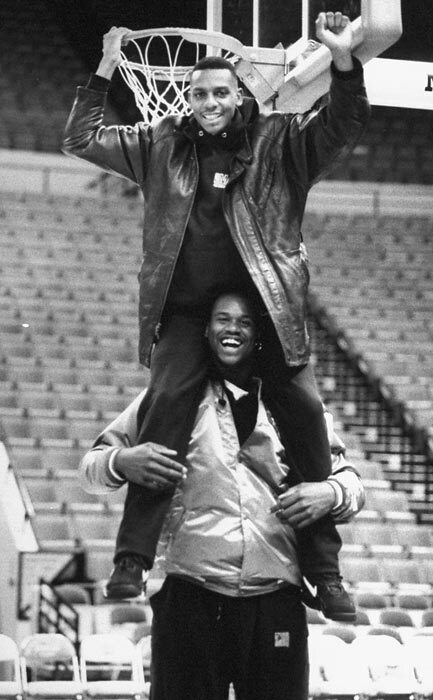 Anfernee Hardaway getting a boost up to the basket by sitting on Shaquille O'Neal's shoulders. Shaquille O'Neal poses for a portrait on the court at the TD Waterhouse Centre. 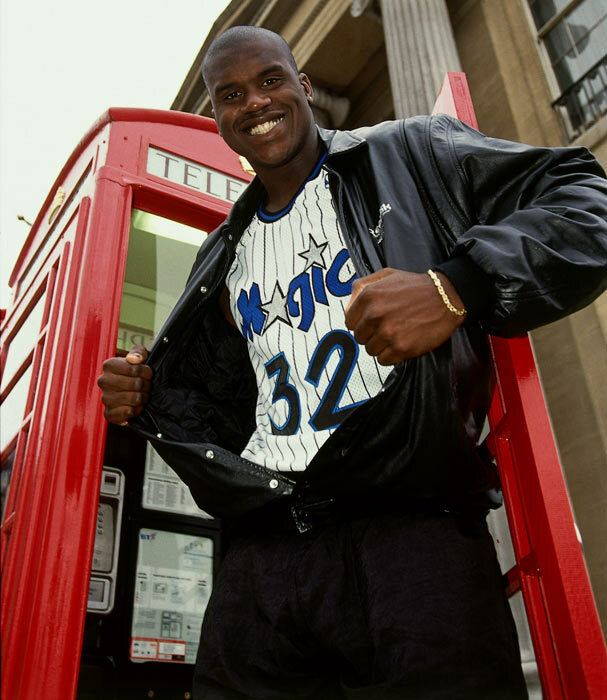 Shaquille O'Neal poses for a portrait in front of a telephone booth during the 1993 Dream Team tour of London. 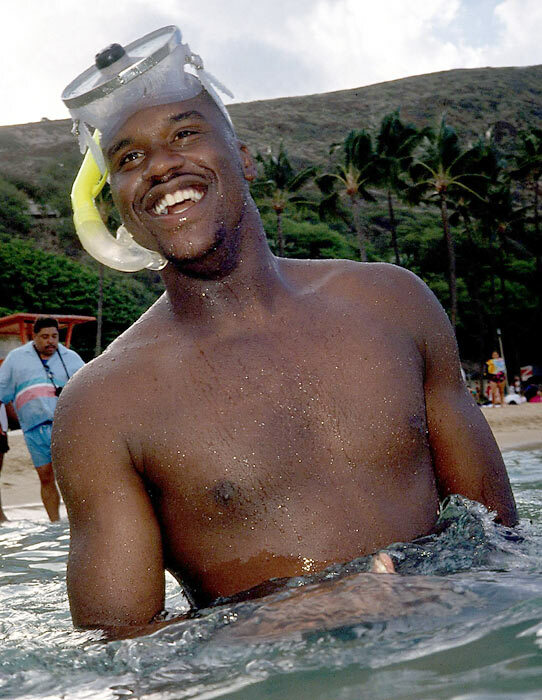 Shaquille O'Neal goes for a quick swim while on vacation. 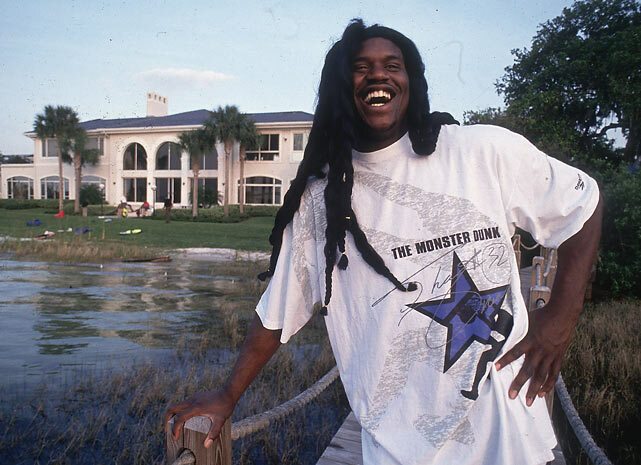 Shaquille O'Neal sports some fake dreadlocks during a SI photo shoot at his Orlando home. 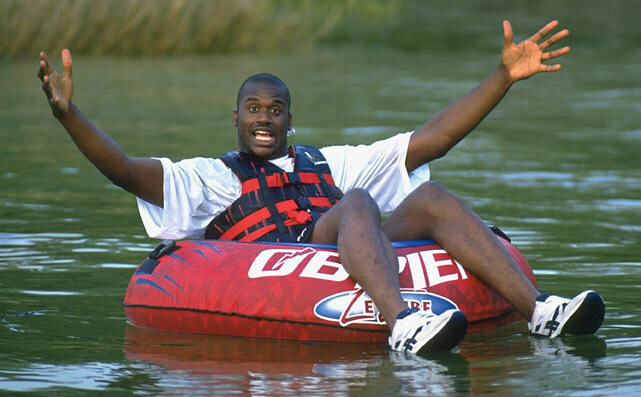 Shaquille O'Neal goes tubing in the lake of his Orlando home. 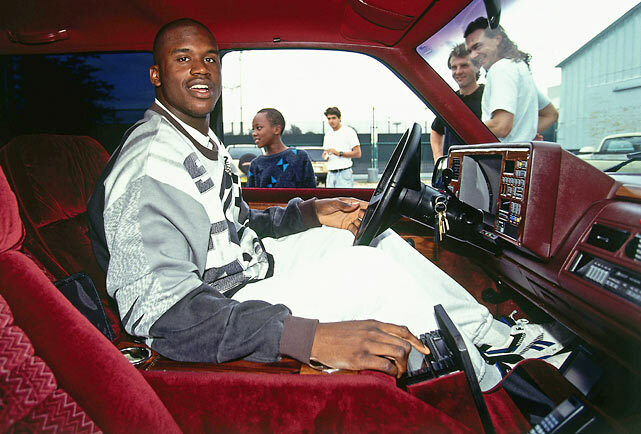 Shaquille O'Neal shows off his ride. 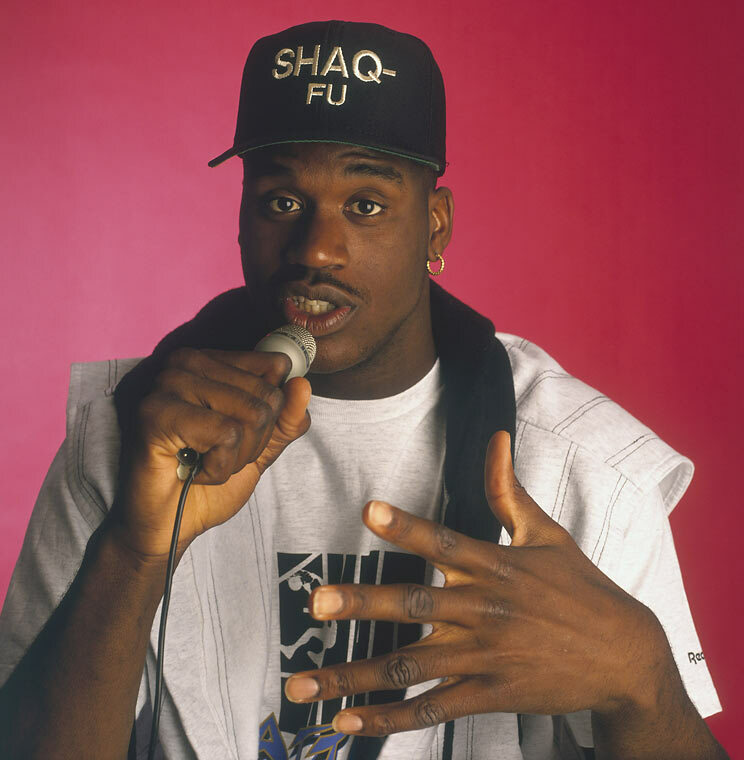 Shaquille O'Neal (aka - Shaq Fu) shows off his musical talents. 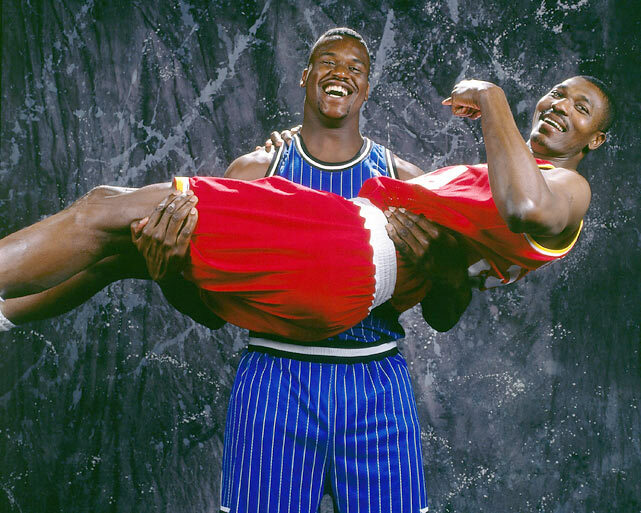 Hakeem Olajuwon relaxes in the arms of Shaquille O'Neal. 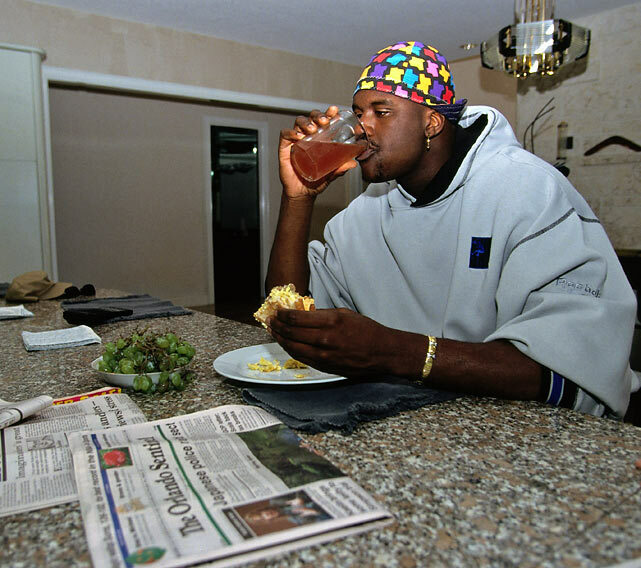 Shaquille O'Neal enjoys breakfast at his home in Orlando. 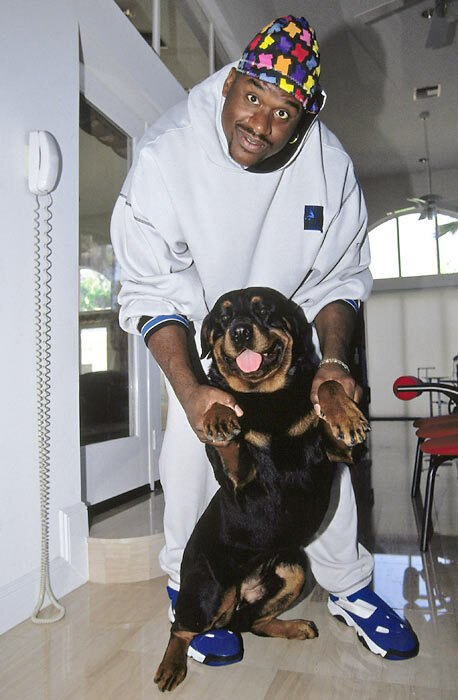 Shaquille O'Neal smiles for a picture with his dog in his Orlando home. 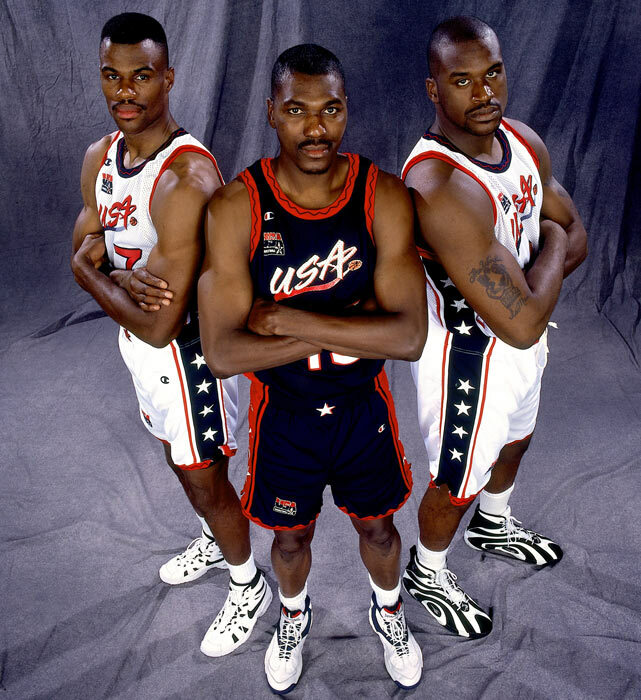 David Robinson, Hakeem Olajuwon and Shaquille O'Neal of the USA Men's National Basketball Team pose for a portrait during the 1996 Olympics in Atlanta. 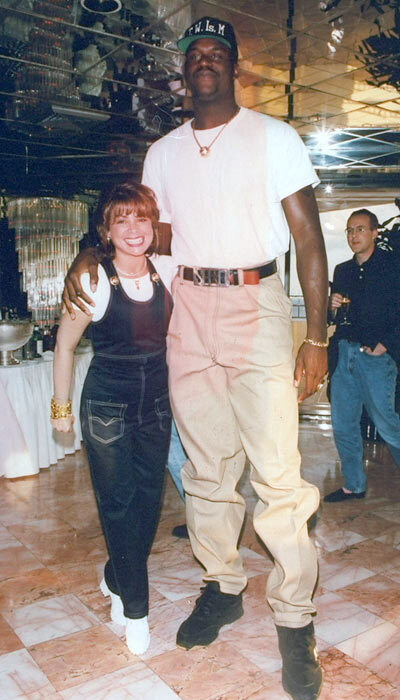 Paula Abdul and Shaquille O'Neal pose at the opening of Planet Hollywood. 3. How did Jackson become the Zen Master? The Knicks president was asked where he gets his famous patience and even keel from. “I had a lead singing role. I was so upset about this lead singing role and my voice was changing. I was 15. I couldn’t reach that note all the time and there was a performance. I got so emotionally upset about it. I caused myself some weightful moments of stress and I realized I had to do something. 4. Jackson was legendary for encouraging his players to read and handing them meaningful books throughout the season. At first, he gave Shaq a book by Friedrich Nietzsche. “I didn’t read it, I went to Cliffnotes.com,” Shaq said. Shaq said he saw parallels between Nietzsche and himself—“[he] was so intelligent and unorthodox that people thought he was crazy—and realized Jackson was trying to send him a message. The following season, Jackson assigned Shaq another book: Siddhartha, a legendary Buddhist book about self-discovery. Jackson said he always kidded his players about doing book reports on the novels he assigned. The former Lakers coach recalled a night that season that Shaq got thrown out of a game in Chicago. Shaq left the court, stopped by the bus, then got on the team plane. “Halfway through the flight from Chicago to L.A., Shaq hands me his book report on Siddhartha,” Jackson said. Shaq praised Jackson for not being a micromanager as a head coach. The former Lakers star said Jackson would usually let him figure things out on his own, but when he did speak, it was powerful. In their first year together, Jackson told Shaq he wanted him to be the leader of the Lakers. There were issues about O’Neal’s weight at the time, but Jackson elected not to bring it up to avoid getting off on the wrong foot. “Five games into the season, I stop Shaq as he’s walking off the court,” Jackson said. 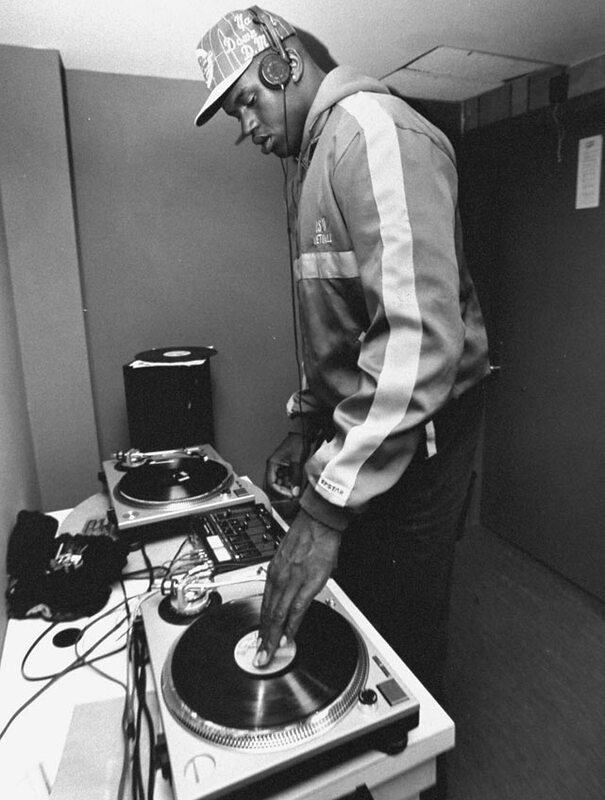 The Lakers coach asked his big man, ‘What’s the best thing Wilt ever did?’ Shaq said averaging 50 points and 20 rebounds per game. Jackson told him that Wilt played every minute of every game. “Can you do that?” Jackson asked Shaq. “I can do that,” O’Neal replied. The next few nights, Jackson said he played Shaq all 48 minutes. But just a few games later, Shaq’s teammate John Salley stopped to talk to Jackson in the locker room. “Shaq says if you can give him a rest tonight, will you give him a rest?” Salley asked. Finally, a little lightning round action. Here are five more quotes from Shaq and Phil.